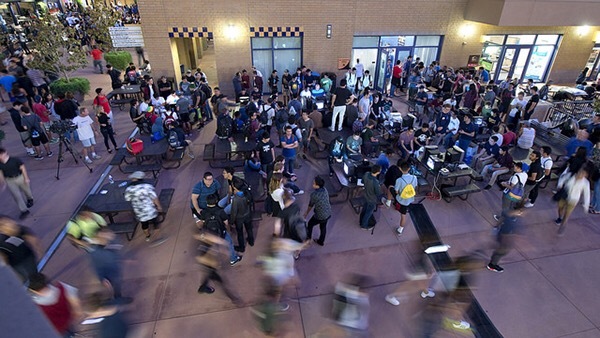 IRVINE, CALIF. MARCH 30, 2017 — The University of California, Irvine has launched the Connected Learning Lab (CLL), a new interdisciplinary hub dedicated to researching and putting into practice equitable learner-centered innovation in educational technology. Connected learning happens when someone is pursuing a personal interest with the support of peers, mentors and caring adults, and in ways that open up opportunities for them, the CLL explains. “It differs from technology and institution-centered approaches to educational technology in being people-first, prioritizing student interests, cultural relevance, and the life of communities. Through “Digital Equity,” the CLL is working with the MIT Media Lab and Harvard’s Berkman Klein Center for Internet and Society to bring the Scratch computer programming education environment to diverse populations and gear it toward young people’s interests. It also partners with the Institute for Money, Technology & Financial Inclusion to consider how to support connected learning and digital inclusion in the Global South. “Games and Participatory Learning,” a push to bring the best of today’s learning sciences to interactive gaming, with a focus on social, emotional and civic learning. The CLL is committed to growing the field of game-based learning by enabling and promoting cross-disciplinary and cross-sector knowledge-sharing and collaboration.